Rich Christianson, owner of Richson Media LLC, is the former long-time editorial director and associate publisher of Woodworking Network, Wood & Wood Products, Custom Woodworking Business and Closets magazines. During his more than 30-year career, Rich has toured over 250 wood product operations throughout North America, Europe and Asia and has written extensively on woodworking technology, design and supply trends both in print and online. He has also directed dozens of woodworking trade shows, conferences and seminars. 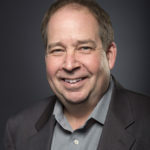 In recent years, Rich has developed an expertise in urban wood utilization through his role as Communications Director of the Illinois Wood Utilization Team, an ad hoc organization dedicated to promoting the conversion of felled community trees into lumber and wood products. Since 2016, Rich has served as Communications Director of the Woodwork Career Alliance of North America. The WCA is dedicated to crafting skill standards and Passport credentialing system to help develop and grow a skilled woodworking workforce. Rich is a professionally trained and experienced journalist. He double-majored in Journalism and Economics at Northern Illinois University in DeKalb, IL. After graduating, he honed his reporting skills working for the Worth-Palos Reporter newspaper based in Chicago's southwest suburbs. During his four years as a newspaper reporter, Rich covered everything from city council meetings to high-profile criminal cases while also writing features about local businesses and personalities. Rich joined Vance Publishing Corp.'s Woodworking Division as Associate Editor of Wood & Wood Products in May 1985. He was promoted a year later to the newly created position of Executive Editor. In 1987, Rich was named Editor in Chief of W&WP, circulated to more than 50,000 woodworking professionals throughout the United States and Canada. 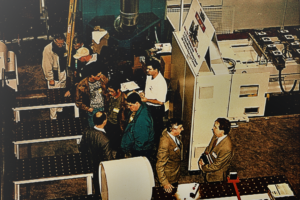 Following the successful launch of Custom Woodworking Business (CWB) in 1991, Rich was promoted to Editorial Director. In his new role, Rich also helped launch ISWonline.com, now WoodworkingNetwork.com, and Closets magazine. He also played a pivotal role in helping manage and promote industry events including the CWB Show, Cabinets & Closets Conference & Expo and WMS, Canada's largest woodworking event. At the Woodworking Division's zenith, Rich managed a staff of 10 editors and designers plus several columnists and freelance contributors. In 1996, under Rich's stewardship, Wood & Wood Products published a more than 400-page Centennial issue that chronicled the publication's 100-year history and the industry's major events, developments and trends during that time span. The Centennial issue won an honorable mention in the prestigious Jesse H. Neal Awards, considered the Pulitzer Award for trade publications. Rich launched Richson Media LLC in February 2015, a communications business focused on the North American woodworking industry. He is grateful to remain connected to the woodworking industry that he has known and loved for more than three decades. Learn more about Rich's career and accomplishments on LinkedIn. I wish I could tap into Kristine Cox's energy! What an amazing person, who has given so much back to the woodworking industry and also paid forward in supporting SkillsUSA and the Woodwork Career Alliance to develop the next generation of woodworkers. Richson Media, LLC shared a link. Today I am celebrating the fourth anniversary of Richson Media, LLC. Thanks to the more than two dozen customers who have allowed me to support my family by staying engaged in the woodworking industry that I have loved for more than three decades. Richson Media, LLC shared a photo. Just in time for the New Year, I issued Volume 42 of the Illinois Urban Wood Update!